While you're peeling and segmenting your orange at breakfast or spooning orange honey on your toast, you're probably not thinking about the Asian citrus psyllid. But Mark Hoddle, Extension entomologist and director of the Center for Invasive Species Research at the University of California, Riverside, is. The Asian citrus psyllid or ACP, a mottled brown insect about the size of an aphid, has emerged as the most important exotic insect pest of citrus in California, and he, along with many others, is targeting it. Hoddle will speak on “Protecting California Agriculture from Invasive Pests: Biocontrol of Asian Citrus Psyllid in Urban Southern California" when he presents the UC Davis Department of Entomology and Nematology's first seminar of the fall quarter on Wednesday, Sept. 26. ACP or Diaphorina citri feeds on phloem juice in new leaf growth, deforming the leaves, but more importantly, Hoddle and fellow researchers point out, it vectors the bacterium (Candidatus Liberibacter asiaticus) that causes "the lethal and untreatable citrus disease," huanglongbing (HLB), also called citrus greening disease. Now researchers are applying an alternative approach, a classical biological control program using two parasitoids from Parkistan. They attack the psyllid nymphs. 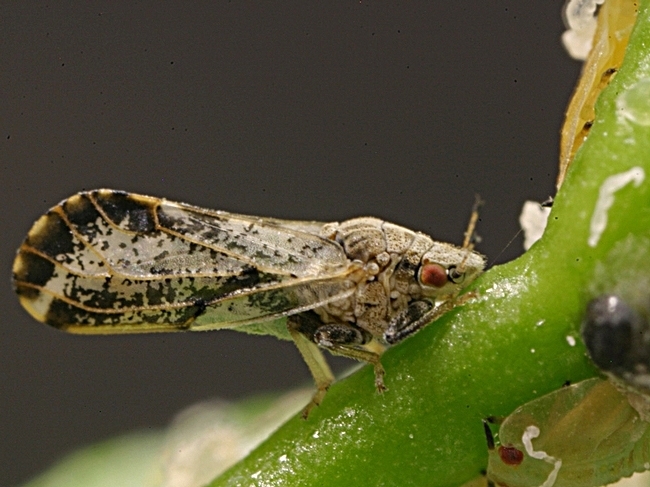 As its name implies, the Asian citrus psyllid originated in Asia. It has now spread throughout much of the world, including parts of the Middle East, South and Central America, Mexico and the Caribbean. It was first detected in Florida (Palm Beach County) in 1998, and is now found in Louisiana, Georgia, Arizona, South Carolina, Texas and California. It was first detected in California (San Diego County) in August of 2008. It is a major threat to the multibillion dollar citrus industry in the United States. "Homeowners and landscapers can help combat the psyllid by inspecting their citrus trees and reporting new infestations of the Asian citrus psyllid or suspected cases of the disease. The best way to detect the psyllid is by looking at tiny new leaves (feather flush growth) on citrus trees whenever new leaves are forming on the tree. 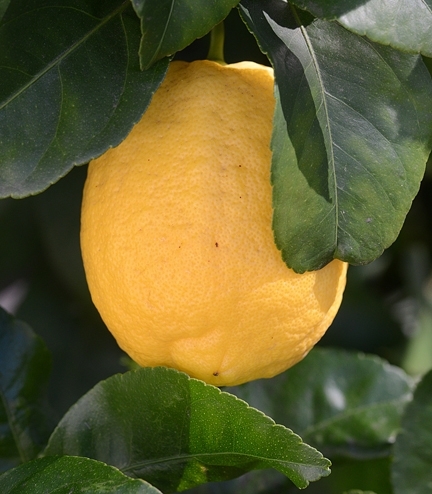 Mature citrus trees typically produce most of their new growth in the spring and fall, but young trees and lemons tend to produce flushes of new growth periodically during warm weather." "Slowly walk around each tree and inspect the flush growth. Look for signs of psyllid feeding and damage, including twisted leaves, waxy deposits, honeydew, sooty mold, and adult psyllids." "If you think psyllids are present, use a hand lens to look for small yellow eggs, psyllid nymphs with their waxy tubules, and adults. Immature stages (eggs and nymphs) are limited to tender new leaves and they don't fly, so monitoring efforts are most effective when directed toward these stages on feather flush." "If you think you have found the insect, immediately contact the CDFA Exotic Pest Hotline at 1-800-491-1899. CDFA staff will tell you if you are in an area that is new to the psyllid or if it is common in your area." Attardo says that all seminars will take place on Wednesdays at 4:10 in 122 Briggs Hall, located on Kleiber Hall Drive. Alexander Raikhel, distinguished professor of entomology, UC Riverside: "The Role of Hormone Receptors and MicroRNAs in Mosquito Reproduction and Metabolism"